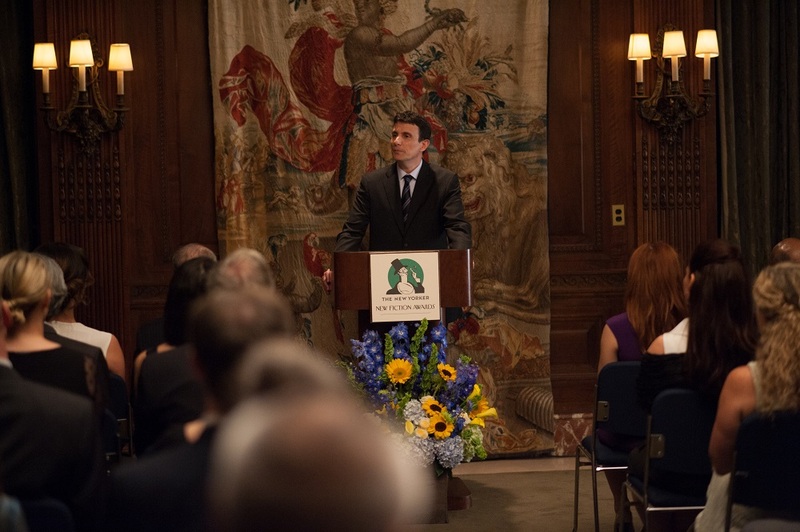 After a successful run on the festival circuit, "5 to 7" opens in New York and in Los Angeles on April 3, with other cities to follow. I spoke with Victor Levin recently about the film. Let's talk about the script. How did it come to be? In 1987 I was traveling in France with my girlfriend at the time and we stayed with friends of hers in a Paris suburb and they had this kind of "5 to 7" relationship. They were an older married couple, and it was holiday time, there were parties, and the wife was there and the husband was there and the girlfriend was there and the boyfriend was there and everybody had hors-d'oeuvres, and I said, "What the heck is going on?" My girlfriend said, "Just keep your eyes open and your mouth shut, and maybe you'll learn something." So I did. Look, I'm a suburban middle-class Jewish kid from Rockland County, New York. When they're handing out the Moral Manual in my part of the world, this situation isn't in it. There isn't even a glossary entry for this kind of thing. You're on your own. So it was a lot to process, especially as a young man. But I had to admit that they were happy. They were elegant about it, they were respectful, there was a set of rules: what one can do, what one cannot do, how one properly honors each party and when. It was discretion practiced at a very high level. Now, it's not for me, it's not anything I could do, but I had to admit that there are all sorts of different ways to approach solving the problem of monogamy - which is probably on the list of the big seven problems in life. I mean, it's food, clothing, shelter, transportation, education, self-awareness, and monogamy. [laughs] Pretty much in that order! And I thought: It's a big world, don't be provincial, give people credit, show some respect, and put that little piece of information away. So I did. These things don't present themselves to you as a "story." You have to work out a story, and that took a long time. When you write romances, even romances with comedy like this one, you have to have a really good obstacle. A lot of the really good obstacles have been done and done and done: the man is going off to war, the man has died, the woman is dying, the woman is a nun, the woman is royalty ... you just can't trot out another one of those cliches. It's hard to find a good obstacle, something that is substantially in the way, but still offers the possibility for love to will out. I thought this was a really good obstacle, especially when you add in the kids. When I say "good" I don't mean that it guarantees that the script will be good, but that it's a good meaty obstacle to wrestle with as a writer. It lets you play with the reactions that people might have to the situation. Usually the couple is trying to sneak around, they don't want to be found out. Here, it's all in the open. There is not a villain in the film. Valery, the husband (played by Lambert Wilson), is a wonderful man. His anger in that one scene seems justifiable. He does not come off as: "She's gotta get away from that guy." There was a Henry-James-almost-in-reverse thing going on: the innocent American opened up by his encounter with the kind civilized Europeans, as opposed to getting corrupted and cynical. I'm so glad you said that. Look, we're all villains and we're all heroes, which is to say none of us are villains and none of us are heroes. Everything Valery does is in defense of his wife, including going over and giving Brian [Anton Yelchin] a slap, because Brian broke the rules. [Valery's position is] "What part of 5 to 7 didn't you understand? I let you into my family and now you have betrayed everybody." Brian deserves that slap. I don't like White Hats and Black Hats. I'm bored by it. I think it's old-fashioned. 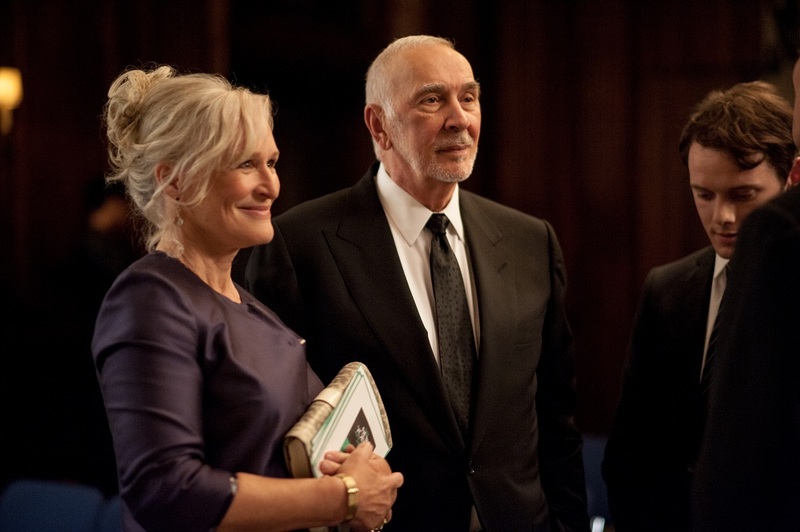 It was the same challenge when I was writing Brian's parents [played by Glenn Close and Frank Langella]. I didn't want the parents to be a cliche. How many times have you seen the harping Jewish mother and nobody's good enough for her son? The second the mother refused to sit down at The Carlyle, I had no idea what she was going to do next. My mom actually did that, by the way. She denies it, but I'm telling you, she stood up in the middle of the Molly Picon Room in the 2nd Avenue Deli because she wasn't happy with the chairs and ate an entire corned beef sandwich from that position. Like Don Ho at the piano. The corollary to making sure the mom isn't the cliche of the harping Jewish mother was that I didn't want the dad to be the cliche of, "Boy, son, your girlfriend is beautiful, hubba-hubba!" We've seen that a million times also. Brian's mother has a wonderful line, where she says to her husband, "How many people get together - like us - without anything in the way ..."
How long did the project take, from script to production? First draft was March, 2007. That was the draft that we sent out after I found Julie Lynn [producer]. Adriana Alberghetti, my agent at WME, introduced us, we had a wonderful meeting, and Julie said, "Look, I know you have to meet a bunch of other producers, because everybody wants this script, so go meet them, and then you and I will work together." That's exactly how she said it, like it was a total fait accompli. Which it was. It was like anything else: you are simpatico with certain people. You are not judging someone solely on their resume. Julie had great script notes: they were small, but they were important. We finally got the script to where it is now and then started sending it out. When you're at this budget level, you're in a terrible narrow canal. There are X number of actors who, in combination at least, are box-office potent enough to get your movie made. There's a certain number of men for the lead, there's a certain number of women for the lead, a certain number of people you could cast as Mom and Dad, that would help you fashion a package that would make you box-office eligible, and you are not going to get that - I don't care how good the script is - you are not going to get production money unless you have a production-eligible package. This takes time, because the people on those short lists are busy! That's why they're on the list. They wouldn't be on the list if they were staying home. Not only do you have to wait for them to read the script, you have to wait for them to be free from the multi-million-dollar studio movies that are making them box-office eligible. And in our case, you're not just waiting for one person, you're waiting for a whole bunch, because once you get everybody, then you have to make sure you can find the 5 weeks plus prep in which they're all available. It's amazing anything gets made, ever. It's amazing anything gets made. These are 7-figure paydays, I imagine, for some of these people and I don't have that. I have no right to say, "No, you must do my movie on April 8th." You have to say, "Go do what you need to do - hopefully we'll be able to do it after." And "after" turns into after turns into after ... and before you know it, 6 years have gone by. But the project had momentum and we could always feel it. It got consistently good reads. I don't think any of us ever thought, for more than a second, that we weren't gonna make this eventually. That kind of certainty gets you through a lot of long waiting periods. Finally, everything came together and we were able to go. It's such a New York movie. The locations alone, The Carlyle, The Guggenheim, the St. Regis ... you don't see many movies anymore using New York as a location in that way. Because it's mayhem. [Producers] Bonnie Curtis and Julie Lynn got us into places that I never thought we would be able to get into. You write in your script "Interior: St. Regis Hotel" and you think that on the day of shooting it's gonna end up being the Kennedy Motor Lodge on the eastern spur of the New Jersey Turnpike. It doesn't even occur to you that you'll actually get the St. Regis. But if you have great producers, they work it out. It does cost some money, but you make these people your partners. Even then, the shooting hours are limited, and you have to really be on your game and you have to be prepared for all sorts of spasmodic pieces of New York interruption, like ambulances flying past, busses belching at 77 decibels, birds by the flock flying through your shot. New York is a work of art. You're shooting on the cobblestone sidewalk of 5th Avenue and there are 7 different colors of green in the trees. The DP doesn't have to send mirrors into the tree cover because the colors are there. You don't have to worry about having enough extras. You don't have to worry about it seeming real, because it always seems real. If there's one rule that I try to carry around, that's the one: It's gotta seem real. New York does 60% of that work for you, just by being itself. For this movie, you also needed a city with a healthy pedestrian life because the story relies on people running into each other on the street not once but twice. It happens all the time in New York but it doesn't happen as much in Los Angeles. I also think there's a slightly larger French community in New York than in Los Angeles. There's a French consulate in New York. Certainly there's a French diplomatic presence here in Los Angeles, and many French people here as well, but it felt more second nature to be on that coast, closer to Europe. Also, the action was confined to what was physically possible between the hours of 5 to 7, which meant that the whole upper East Side neighborhood was the boundary for the story. The only time they go out of the upper East Side is when they go to 30th Street to Brian's apartment, because I thought Brian would live in Murray Hill if he had a small pile of money that his dad had given him or he had been saving. Now, people may say, "Aren't you being a little obsessive?" Maybe, but I believe that if you tell the truth as much as possible, it shows itself in indirect ways, the audience can feel it. Was the park bench plaque-inscription motif in the script from the beginning? I noticed the plaques on the benches a long time ago. The "hold your heart more tenderly than my own" bench was always in the script. But some time during prep, Bonnie Curtis said to me, "You need an overture for the movie. You need something to start the movie that's going to stake a claim, tell the audience the emotional territory in which the story takes place." I thought that was a really good idea. I puzzled with it. Then I [thought of the benches] and I asked the producers if we were allowed to use those benches? Turns out, you are. It's fair use! So we sent our loyal platoon of interns out into Central Park. There's something like 9,100 benches in Central Park. Not all of them have plaques, but many of them do. I said, "Look, if it moves you or makes you laugh, write it down, and by the way, please write down the location, because there's nothing worse than wandering around looking for a bench." And they didn't get to all of them but they did get to more than half of them and we received a thick book of park bench plaque inscriptions. I went through them, we narrowed it down to 28 or 29, and I thought: we'll use some for the overture, and maybe there's a chance we'll use them for chapter markers throughout the movie. As the editing process went on, we tinkered with the list a little bit. I had a vague idea of what bench could go where. On our last shooting day, [cinematographer] Arnaud Potier and a skeleton crew and I went out and shot the benches. Then we just kept the footage around for when we finished the rough cut, and we started putting benches in where we thought they worked. We bought a bench for the movie, which you can see after the end credits, just to say Thank You. It's at the south end of the model boat pond, kind of where they were standing when they sailed the boats. Can you talk about how you worked with Arnaud Potier, the cinematographer? It's shot in wide-screen, right? That is Cinemascope. 2:35:1. But it's not anamorphic Cinemascope. So what you do there is: you capture a widescreen image and then you cut off the top and the bottom. Now why would you do that as opposed to anamorphic? Because anamorphic bends the image on the way in, and then re-bends it on the way out, when you project, so sometimes you still see some of that bending. That can be beautiful but it wasn't what I wanted. We shot on the Alexa, which is a digital camera, and I felt - and Arnaud agreed - that the image would be slightly more painterly if it were not quite so hi-def. You do lose information when you cut the top and the bottom off. You're making what information is there bigger. And what that creates is a smoother look than if you were looking at everything you had captured. I was given 70 DPs to look at who were New York eligible. From the first time I saw Arnaud Potier's work, I said, "This is the guy. Can we get him?" He had made Mélanie Laurent's debut feature as a director, which was called "Les Adoptés". It's wonderful. Then he made another movie for her, after ours, called "Respire" - or "Breathe" - which I haven't seen. He met Mélanie when he worked on a film called "Jusqu'à toi", which she did not direct but starred in. So she asked him to DP her movie when it went. And both "Jusqu'à toi" and "Les Adoptés" looked exactly like I wanted my movie to look. There was more night material in those movies, so they were a little bit darker, but the compositions were gorgeous. He was very fond of things of which I am also very fond: frame within the frame, strong use of verticals, and a kind of casual composition that doesn't look mannered or labored over but just looks right. His colors were rich but they weren't beating you over the head. I didn't want this to be a comedy that shouted. I wanted it to have a much quieter tone of voice. I knew it was a good fit. I could say to Arnaud, even though my French is spotty, "Okay, member that shot in 'Les Adoptés'? It kinda looks like that, except this ..." There was a reference point that I could use in our conversations that he knew inside and out. He always knew exactly what I was talking about. He told me that when he was a kid he would play with lights, maneuvering them in shoeboxes and seeing what the lights did. It just goes to show you that there are people put on this earth for everything! I was playing baseball with my fingers on the floor when I was a kid. He was a 6-year-old kid manipulating lights in shoeboxes. He is a painter. He is absolutely an artist. At the Oscars, [Alejandro] Iñárritu said of his DP - "He's the real artist here" and that really is how you feel. Let's face it: they're the only ones who know what all the buttons do, exactly what the lens capabilities are, how long you have until the light won't match. You are completely in their hands, and I was really blessed. He's a lovely, funny, smart, fast, deft guy, and we became partners in every sense. He was great at ad-libbing on the day if something wasn't possible. There are some tough shots in that movie. That long walk and talk was tough. I wanted to talk about that walk and talk scene. There are a lot of long takes in the movie, but that one stands out. I realized maybe halfway through, "Wow, they're gonna do this in one." We didn't know exactly where the actors were going to end up but Anton Yelchin and Bérénice Marlohe are incredibly skilled actors. They could feel it. That was a 7-minute scene, originally. I can't put a mark on the sidewalk and say that after 7 minutes of talking you're going to wind up in the same place every time. That's not how human beings work. But the two of them felt it, and they knew when to stop, and Arnaud knew to let Anton leave frame camera-right and stay with her. These are not notes you can give, because you're not Kreskin, you can't predict what's going to happen. You can't yell in the middle of the take because it'll be on mic. It shows a lot of trust in the actors, too. There were a couple of long takes in the St. Regis, too, where you saw them through the doorway in the room beyond, that frame within the frame thing you mentioned. Scenes were allowed to play out. I think my job is to create a window into another world so you can watch the story. I don't want to do anything to remind you that I'm there. Because every time I remind you that I'm there I take you out of the story. In a lot of cases - not every case, but a lot - that means finding a really good master, and sticking with it. Let the people walk into frame, out of frame. Make it as beautiful a frame as possible, but don't chop it up, don't slam in for closeups so that people know something is supposed to be funny. Don't help the audience more than they need to be helped. Show a little respect for the people watching the movie. They'll look where they want to look. They have eyes. They've been to movies before. It so happens that when you're working with an independent budget this is a very practical artistic philosophy because you don't have time or money to shoot everything. You don't have another 2 hours to come in for closeups. So a "one-er" as we call them is a very helpful thing, but I would have done it anyway because I believe in it. As recently as this past year, I can point to filmmakers whom I idolize like Paweł Pawlikowski - in "Ida" - who does it to incredible effect, and, by the way, not just how long the camera rests, but what is happening just outside the frame, which in many cases is just as interesting. Woody Allen has been doing it for decades. A good master - it may pan, it may track, it may tilt, it may move a little bit - but actors come in and go out of it in a way that keeps you from being reminded that you're watching a movie. Rehearsal is very important to me. I depend on people being off-book. There are no short-cuts. Dialogue is a function of rhythm and melody, especially when it's comic dialogue, and it has to sound right, it has to sound like music. The movie has to work if you're not a sighted person. You have to be able to go into that movie theatre and enjoy it as a radio play. That's the test. So rehearsal is essential. And don't forget: Bérénice is speaking in her second, even her third, language. She has to have that accent in order to be legit in the character, but there's also a lot of vocabulary she had to get her vocal cords around. You need rehearsal for that. But also it's just so that you're not on the day of shooting saying, "Here's the pace this needs to be." Or "You're angry in this scene ..." You want them to understand all that already on the day. It's better for the actors too because they're in charge, once they have the words. On the day, maybe I'll have a small adjustment here and there, but if we have rehearsal time, they come to the set that morning knowing what they have to do, having worked it with me, having worked it on their own, having run lines in the trailer. They're excited because we don't have to shoot 5 bad ones and then talk about it for half an hour. They're confident. They own it. That's the key right there. This is a business filled with surprises. If you can limit the number of surprises, the ones over which you do have control, you are working in everybody's best interest. I mean, I've got Frank Langella and Glenn Close in the movie. So bring your A-game, young man! You had better believe I was up until the middle of the night the night before making sure I knew exactly what I wanted to say, and that all my work was done. I wasn't going to be anything less than my best for anybody, but particularly for them. Shine your shoes and shave. You want to show you've done your work, you don't want to waste a second of their time, you want to show that you're grateful that they said Yes, that you understand the power that they bring to the film, and you're going to hold up your end of the bargain. It was really important to me that all of the actors had a good experience because I consider them my creative partners. They're not people I've cast in the role. They're bringing it to life, they're treated with the same respect I hope I show everybody. Put the actors in a position to succeed and then get out of the way. 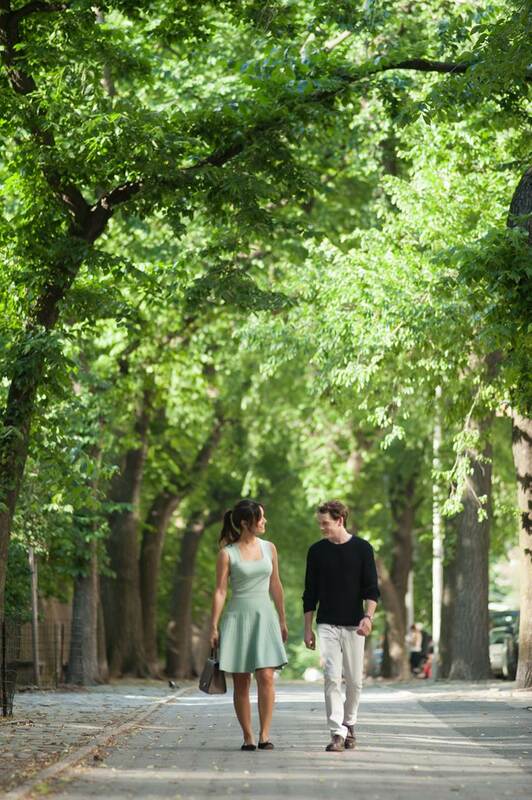 Did you have Anton Yelchin and Bérénice Marlohe in mind for the leads from the start? Anton came first. I saw him in "Like Crazy" with Felicity Jones. I think he's one of the best young actors that we have today. He's easy with comedy, he's smart, he's really curious about the intellectual underpinnings of his characters. His transformation in that final scene was very important. Yes, and he understood that. There's a certain world-weariness to him in that scene - or wisdom - that has come into his features, and that's not a note you can give. "Hey, Anton, please put some wisdom into your features." You know? That's not going to work. The actor has to know that that's what's required. When I saw "Like Crazy" I called up Bonnie and Julie and asked if there was any chance we could get him. He read the script and he really liked it. We met for dinner, Bonnie, Julie, Anton and myself, and he said Yes. 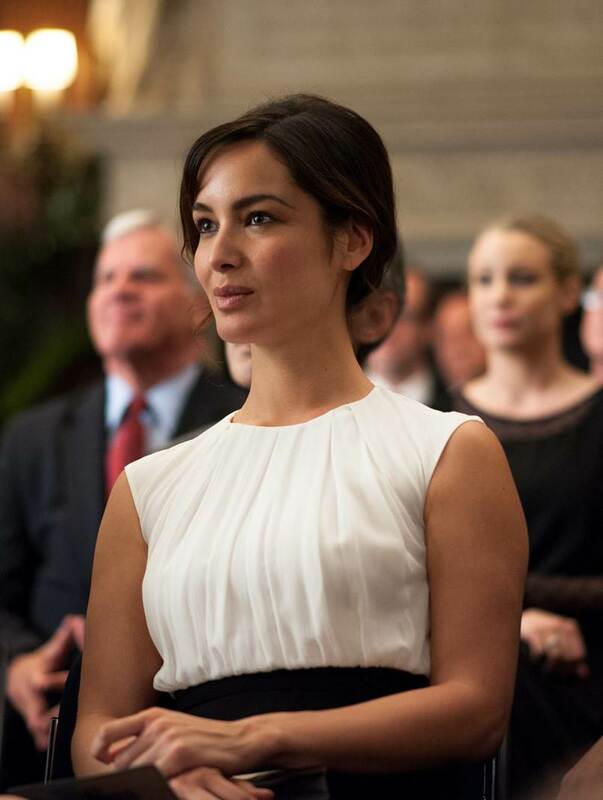 And then with Bérénice: thank God she was in "Skyfall." "Skyfall" gave her the stripes to be at the center of an independent film. You have to be in a movie that grosses big in order to make yourself box-office eligible, as we have discussed. We had brunch in Santa Monica, and she's really funny and sweet, and she's one of those people who, despite the fact that when she walks down the street you can actually see guys falling off the curb - she doesn't trade off that, she's not impressed by that. She's a completely regular person. Her parents did a great job. It must be something to literally not be able to walk through a supermarket without everyone staring at you. You can't hide Bérénice Marlohe. So it was so refreshing and lovely to discover how much fun it was to hang out with her. That was a huge part of casting: who is someone you can really talk with about this material? Her smile, too. It was so heartbreaking and intimate. These are things you look for when you meet women for the role. Who is going to have the best chemistry with Anton? That is not a thing you can predict but you can make a pretty good guess when she's that nice, and that funny, and that easygoing. She did Terrence Malick's next movie, which was untitled at the time, so we knew that other people were seeing her acting chops, too. Thank goodness she said Yes to us. It's a very short list of beautiful French internationally-known box office-eligible actresses. It's shorter than you think. And it's a very short list of 25-year-old American funny really handsome men who can completely carry drama and also have a sweet face. This is why it took 7 years. The ending was very satisfying. The characters have made compromises, but the film doesn't compromise. It was the only way it felt truthful. I think it's a pretty relatable thing. I think a lot of people have things in their past, and they wonder, "Did I make the right decision?" With the best kind of love, even if it doesn't work out, you want to live a life that will make that person happy if they hear you're doing well. That speaks to that whole idea of love in absentia, which is an important element of the movie. You still love them, but at a distance. We have to do this as adults, because this is what happens in life. You have a choice: Abandon it and turn your back on the feelings, or find a way to carry on with dignity.